For sufferers of low back or neck pain, yoga may be one of the best medicines that can be prescribed. Studies show that people who practice yoga twice a week for 8 weeks make significant gains in strength, flexibility, and endurance. Yoga is a gentle form of exercise that can be practiced by people of all (or no) athletic ability. 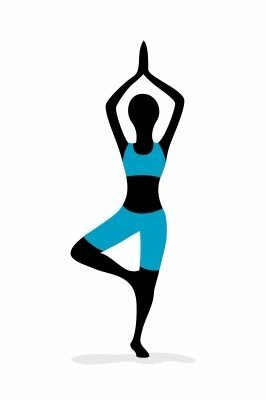 Yoga gently moves you through different postures and poses. By holding the poses and breathing through the stretches, week after week, your flexibility and strength increases. Yoga stretches and strengthens muscles that support your spine reducing back and neck pain. Yoga increases blood circulation which in turn brings healing nutrients to injured tissues. Yoga can reduce the perception of low back and neck pain. Using yoga and meditation to focus all your mental energy on reducing the perception of pain may actually reduce the physical pain you experience. Yoga greatly enhances mental health and stress management. Mood, sense of self, motivation, and sense direction can all increase with regular yoga practice. The benefits of yoga can only be realized if you continually practice! Consistent practice of yoga will result in improved posture and balance with the head, shoulders, and pelvis in proper alignment. When your body is properly aligned the natural curvature of your spine is in place which reduces pain in your low back and neck. Like all exercise programs, please consult with your doctor before trying something new. For more helpful information like this please sign-up to receive our monthly Healthy Back Newsletter and like us on Facebook and follow us on Twitter.